In order for your child to develop a healthy smile, their baby teeth need extra special attention. 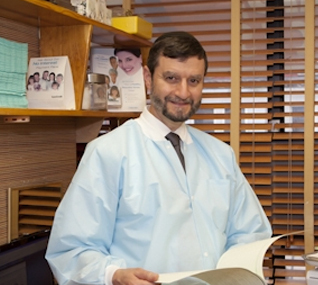 Willoughby Dental has been a leading Pediatric Dentist in Brooklyn NY for over twenty-five years. Throughout this time we have perfected our pediatric care so that all children actually enjoy their trip to the dentist. We wouldn’t want it any other way considering pediatric dental care is key to preventing future oral health problems. 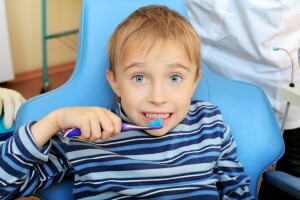 According to an NCHS data brief released in May 2012, 17% of American children have untreated dental issues. Healthy and well-maintained baby teeth enhance confidence, wellbeing, and proper growth of permanent teeth. For a radiant, healthy smile and a lifetime of confidence, Dr. Trachtenberg provides Pediatric Dental care in Brooklyn NY geared specifically to your child’s needs. Baby teeth are often mistakenly ignored because they fall out in place of permanent teeth. In reality, if baby teeth are not properly cared for problems with adult teeth are sure to arise. For a healthy smile in the future, proper pediatric dental care is adamant today. Your child’s first tooth will come in around 6-12 months. About 6 months after the teething process begins you should take your child to a Pediatric Dentist in Brooklyn NY for their first check up. By starting young your child will feel more comfortable going to the dentist, also this helps catch potential teething problems before they become increasingly worse. Until your child is around 3 years old the teething process can cause discomfort and irritation. To help prevent further tooth pain, you want to help cease the potential for cavities developing in baby teeth. The most beneficial ways to keep cavities at bay include regular trips to the dentist, consistent brushing and flossing, along with a diet low in sugars. Keep in mind, any sugary drinks or foods your child consumes will attack their teeth for 20 minutes, breaking down enamel and increasing the risk for cavities. Tooth decay, trauma, or natural defects can cause baby teeth to fall out prematurely or be missing all together. Your child needs his or her baby teeth in order to assist the proper development of adult teeth. Baby teeth provide a guide for permanent teeth so that they grow in the right place. Around 6 years old your child will begin to develop permanent teeth, if pediatric dental problems remain unsolved, adult teeth will grow in crooked and wrongly positioned. Also, other teeth in your child’s mouth may start to shift out of place in order to accommodate the missing gap. This is where a space maintainer comes in handy. If your child is prematurely missing baby teeth, a space maintainer provides a common pediatric dental solution. Made of either plastic or stainless steel, space maintainers can be removable or permanently cemented onto your child’s teeth. In general, a space maintainer resembles a retainer, and includes prosthetic teeth that fill in missing spaces. There are options when it comes to picking a space maintainer; three common types of space maintainers include band and loop, lingual arch, and distal shoe appliance. A stainless steel band-and-loop maintainer uses the placement of a crown on adjoining teeth to hold artificial teeth in place. Simultaneously, a wire loop makes sure the space remains wide enough for permanent teeth to properly grow in. A lingual arch is popular for pediatric patients that have lost a tooth near the back of their mouth. A distal shoe appliance is another fixed space maintainer, which goes beneath your child’s gums in the instance they lose a baby tooth before their 6-year old molars start to develop. A distal shoe appliance requires frequent check ups to ensure the wire band does not block the molar from developing. At Willoughby Dental, Dr. Trachtenberg works closely with each patient to identify the best type of space maintainer for his or her mouth.